Scientists involved in a field campaign are away from their normal routines, offices and universities, including the support mechanisms available if sexual harassment or other inappropriate behaviors occur. 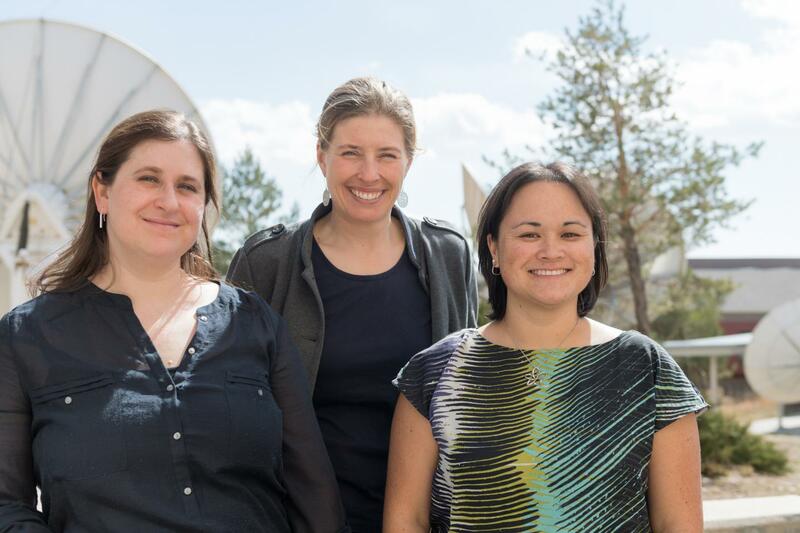 Three Colorado State University researchers are examining the prevalence of sexual harassment in field-based research as part of a National Science Foundation-supported study. The CSU team, which includes Emily Fischer, Kristen Rasmussen and Brittany Bloodhart, are also studying what psychological indicators might lead people to engage in – or intervene in – a harassment situation. Part of their work is documenting how people respond when the issue of sexual harassment is openly discussed, and expectations for professional behavior are clearly set by team leadership. The goal: creating a policy and culture of collegiality and respect across field teams. Their efforts are supported by nearly $300,000 from the National Science Foundation, awarded last year. The group used two recent CSU-led field campaigns as test cases and proving grounds for their project. With field-based research an integral part of earth science scholarship, the researchers believe field teams can be powerful agents of change. Earth and atmospheric scientists frequently build collaborative, multi-institutional teams, and these networks can take years to establish. With already shared common goals, the researchers want to promote effective, fact-based practices for improving workplace climate and safety within these networks. While sexual harassment has been studied extensively in workplaces and academia, very little research has focused on the problem in field settings. Those in “low-power” positions, the researchers say, such as graduate students and postdoctoral researchers, may be particularly vulnerable to those in positions of leadership. The researchers also pointed to a recent National Science Foundation policy change, addressing harassment, as further motivation for diving into the project. Fischer’s field campaign, called WE-CAN, brought together multiple universities and agencies for six weeks in Idaho last summer. Another field campaign that Assistant Professor Rasmussen co-led in November, called RELAMPAGO, was the largest land-based atmospheric science field campaign ever conducted outside the U.S. and was aimed at studying Argentina’s thunderstorms. The researchers sought to use the WE-CAN and RELAMPAGO campaigns as springboards for two new, multi-institutional, international networks of proactive scientists, including men, all invested in combating gender inequality. Now, the researchers are developing written materials for future field campaign managers to facilitate culture change around sexual harassment in the field. Another of the researchers’ major objectives was to train participants in the two CSU field campaigns on how to recognize, report and confront sexual harassment. To do this, they relied on existing training materials developed by a separate group of researchers looking to improve work climates in geosciences. That related work is called “ADVANCEGeo” and is an NSF-funded partnership among the Earth Science Women’s Network, the Association for Women Geoscientists and the American Geophysical Union. ADVANCEGeo had previously developed workshops and materials for department heads, chairs, faculty and graduate students to respond to sexual harassment in their workplaces. The CSU team adapted these materials for their field campaigns, with an added emphasis on building effective teams. Another key aspect of the CSU project was led by Bloodhart, a social psychologist previously with the Department of Psychology who has expertise in beliefs, attitudes and discriminatory behavior around gender equity. Bloodhart designed and administered surveys to field campaign participants before and after, asking about past harassment experiences, as well as observed climate and behaviors during the campaigns. Bloodhart presented survey results at the American Meteorological Society meeting in January. The researchers issued a “call to action” after their session, and several attendees, many of them men, indicated a willingness to push for conversations and action around the topic. Bloodhart reported that about half the surveyed women had experienced sexual harassment at some point in their careers. She found that a “hostile work environment” was the largest source of sexual harassment, and that men and women typically reported different forms of harassment. The trainings during the two field campaigns were well received, Bloodhart said, but women were more likely than men to report that they had a “positive experience” during the trainings. She also found that men were more likely to intervene in harassment situations following the trainings.